Congratulations to Coach Pete Siarkas being nominated by the Sherwood High School (SHS) community for the SHS Coach of the Month – February. Coach Pete Siarkas dedicates countless hours ensuring the success of the Sherwood High School Wrestling program. Coach Siarkas recognizes the value of athletics as an integral part of the total school curriculum. Congratulations to Mr. Chase Wilson for being named Honorable Mention to the Maryland State Wrestling All Academic. Mr. Wilson will be recognized for this award on Tuesday March 7, 2017 at McDaniel College at 615 pm prior to the Maryland State Wrestling Association Senior All Star Match at 630 pm. 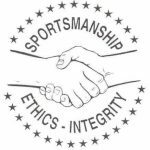 Multiple Teams · Feb 27 Thx SHS Wrestling Community! SHS onto States! Saturday, January 21, 2017 1:00 PM Sherwood High School AWAY 30 Walter Johnson High School HOME 35 Meet Recap . Wednesday, January 11, 2017 6:15 PM Sherwood High School AWAY 6 Damascus High School HOME 71 Meet Recap .